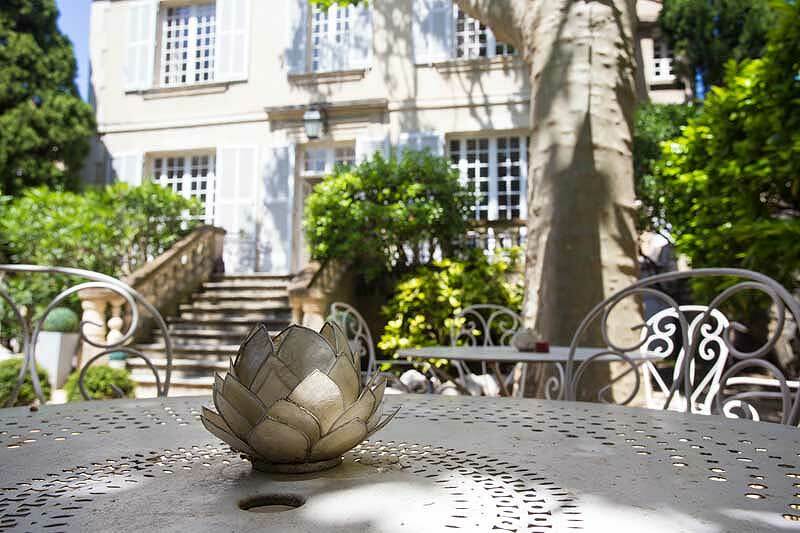 Its nice small garden features centuries-old plane trees and its terrace and the house itself combines historic charm and modern comfort. 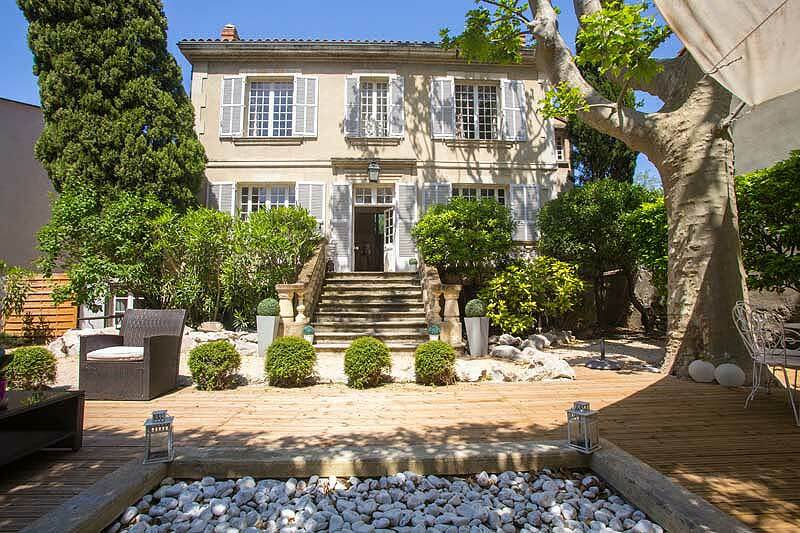 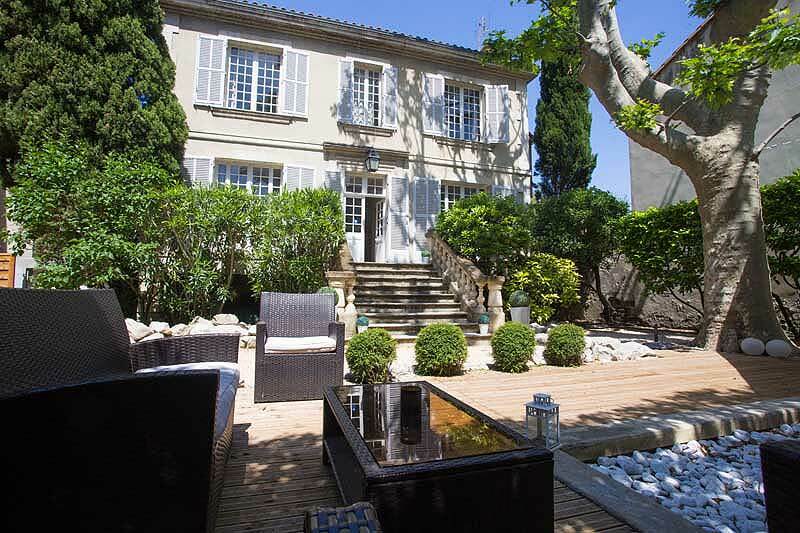 Behind an ornated green gate and a large planted hedge you discover a beautiful stone staircase and gorgeous façade : this house is bountiful of authentic french character ! 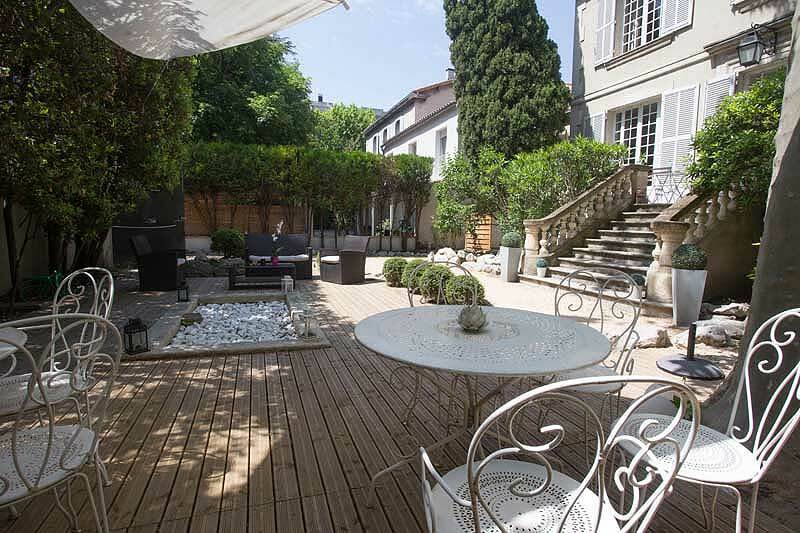 With an area of 380 m2 garden allows you to enjoy the sunshine and the shadow... relax on the large terrace or have a drink on the upper terrace. 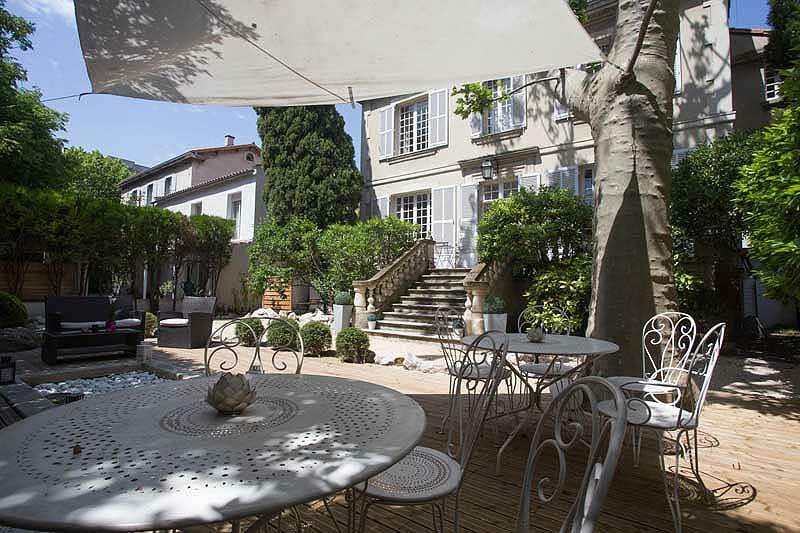 Available in the garden: garden furniture including tables to have lunch and dinner outside and a set of lounge chairs at your disposal. 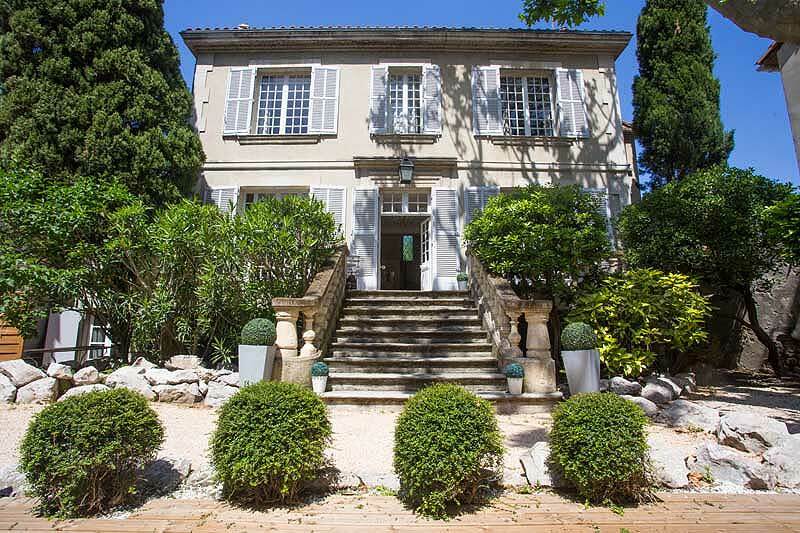 The main advantage is aprivate parking for 2 cars inside and 5 parking places outside, opposite the entrance of the House.